US Representative Joseph P. Kennedy III has earned stock value of up to $434,999 from investments in Gilead Sciences Inc., the manufacturer of a controversially priced hepatitis C drug, Sovaldi, that many of his constituents are struggling to afford, according to public financial disclosures and campaign finance records. 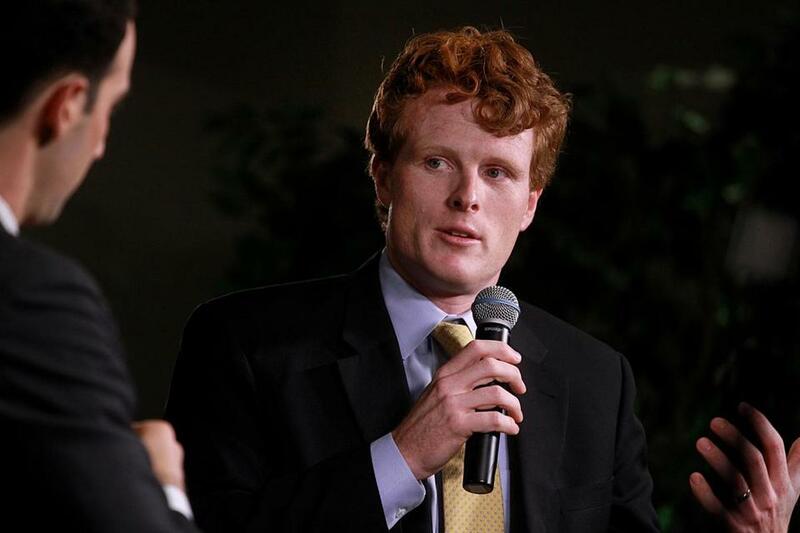 Kennedy, who is the lone high-level Massachusetts politician who has invested in Gilead, earned between $15,001 and $50,000 in capital gains after selling part of his stock in 2014, according to a transaction report he filed. He purchased the stock in 2012, in the midst of hepatitis C’s overwhelming spread through Massachusetts. After the state reported just 10 cases in 2011, the number skyrocketed to 174 in 2013, according to the CDC. His holdings in Gilead, as of the end of 2015, totaled between $180,004 and $450,000, according to financial disclosures. (Lawmakers are not required to report the exact value of their assets, but in ranges instead). Of 23 congressmen with shares in Gilead, Kennedy currently holds the most. In a 2015 cost trends report from the Massachusetts Health Policy Commission, researchers revealed that high hepatitis C rates, combined with Sovaldi’s pricing, was becoming a strain on the state’s budget. Last December, the US Senate Committee on Finance found in its investigation of Gilead that the company had a “revenue-driven” pricing strategy. According to the committee’s report, state Medicaid programs across the country spent $1.36 billion on Sovaldi in 2014, before rebates, to reach just 2.4 percent of patients. Hepatitis C is heavily linked to opioid abuse. According to a CDC survey, between 40 and 50 percent of those with the disease who responded in 2012 said opioid use contributed to their contracting it. This raises the specter that Kennedy, through his investment, could be indirectly benefiting from the opioid crisis. In Kennedy’s district overall, the number of opioid-related deaths increased 29 percent between 2012 and 2014, according to the Department of Public Health. Kennedy has been outspoken about the opioid crisis since joining Congress in 2012. In 2015, he helped introduce a bill aimed at tracking prescription drugs to curb abuse. Kennedy’s shares in Gilead may also pose a political conflict with Attorney General Maura Healey. On Jan. 22, Healey wrote a letter to Gilead requesting that the pharmaceutical company reconsider its pricing — $1,000 per pill of Sovaldi and $84,000 for a complete treatment — so that public and private insurers can affordably deliver the drug to patients. Craig Holman from the political advocacy group Public Citizen said Kennedy should rethink his investment. This story was produced as part of Maggie Mulvihill’s Boston University Journalism Research course.